That's because most have some experience in local politics. Eight candidates seek three open positions. They are, in alphabetical order, Janet Enright, Shari Groce, Ben Kalasho, Rob McNellis, John W, Minto, Rocky Qualin, Rudy Reyes and John Ryan. Qualin is the actual runner, competing in local events. Minto has led the Santee Firefighters Association as the team captain for the annual Santee Relay for Life for more than five years. Reyes, designated a hero of the Cedar Fire by the Smithsonian Institute, saved his parents, then ran through a wall of flames as fire engulfed the family's home. Enright, a retired administrator, says after 30 years of experience in county governance and leadership, both with the district attorney and the medical examiner, she “will be able to hit the ground running from day one.” She also has grant-writing experience that she hopes to utilize to find additional funds for Santee. Only one of the candidates, Minto, is an incumbent. But another, Ryan, is the brother of a current Councilman, Hal Ryan, who is not seeking re-election. A third seat is vacated by Brian Jones, who is running for Assembly. Although Council seats are nonpartisan, political parties usually support their own. 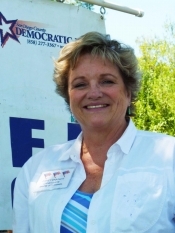 The local Democratic Party has announced its endorsement of Enright and Reyes. Ryan also declared himself a Democrat. While McNelis claims Republican Party support on his Web site, the party's Web site shows no endorsements yet in the Santee race. 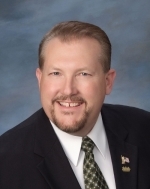 In an e-mail to members of the Santee Democratic Club,, its president, Patrick Hurley, said “With three seats up for election … we should be able to elect Democrats to our City Council for the first time in ten years. 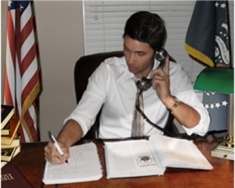 Hurley calls all five other candidates Republicans, but Kalasho reported himself as nonpartisan. There was not unanimity among the candidates when asked the top issue in Santee, but most mentioned balancing the budget in precarious fiscal times. Groce, an aerospace engineer, said the biggest issue stems from raids on city coffers by officials in Sacramento. With my vote, I will help to manage Santee’s budget to preclude a sales tax increase for our city,” she said. Kalasho, who grew up in Santee and owns the Sonik Car wash and the Chevron gas station, also cited “financial stability in a depressed economy” as the city's top need. 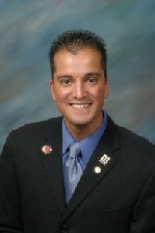 Qualin, senior vice president of KPS Insurance Services, Inc., holds a degree in Finance. “Until the economy turns around, the city will be faced with trying to increase revenue or cut costs,” he said. McNelis said the biggest issue is stopping the expansion of the Las Colinas Detention Facility, the county's jail for women, located in Santee. Instead of responding to East County Magazine's questions, Minto submitted a copy of a survey he had completed for another publication, so the queries were not posed in exactly the same way, but he, too, mentions the economy as an issue for San Diego County as a whole. The incumbent cited completion of Town Center Park, sponsorship of measures to restrict alcohol consumption in parks and protect children from sexual predators as among his key accomplishments. 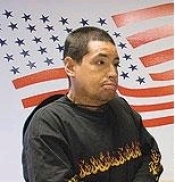 Reyes answered the questions by phone interview because his fingers, badly burned along with 70 percent of his body in the 2003 Cedar Fire, don't type well. Since that blaze, which killed 15 people, Reyes has kept two issues before the public: the need for protection against fires, and the legal procurement of medical marijuana, which has helped to ease his pain. Fire protection is a burning issue for Reyes. “Yesterday we had a rehash of the Cedar Fire,” he said, speaking at a picnic the day after the nearly 1,000 acre Monte Fire began in neighboring Lakeside. He cited failed leadership to bolster City fire protection and suggested the City look into hosting a public event to raise more money for fire services. 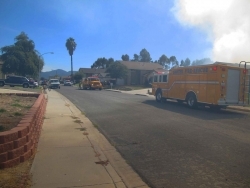 Reyes said he is not Native American but he was living near the Barona reservation when, after helping to evacuate family members, he almost lost his life to the conflagration. 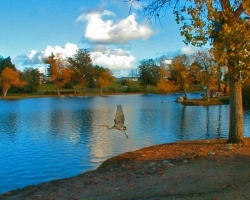 Noting that Santee once led the nation in cleaning its own drinking water at Santee Lakes, Reyes proposed a “water farming” project (plastic lines with slits to collect water from dew that normally evaporates), a technique he learned while doing archaeology in the Andes Mountains. He also proposed a community garden and incentives for Santee residents to install solar panels to produce more power locally. Two recent hot topics got mixed reviews from some while others didn't comment. Some thought Fanita Ranch, a larger residential development which may be coming out of bankruptcy, is a good idea. “I would like to see the Fanita Ranch development plans go forward,” Croce said. Ryan said 70 percent of Santee voters approved the project, indicating it should be completed, if possible. But Reyes feared the project has poor access and would be a fire hazard. Kalasho believes the project could be a failure in these financial times and that it should be reconsidered by Padre Dam. Enright said she attended the Council hearing on the project and was impressed by the “impassioned please by people who live here. There was two and a half hours of testimony from people who live in Santee, but I could tell that Council had already made up their minds.” Enright said the ski park would hurt the natural setting and imperil wldilife, also raising safety issues. “It would cost over $100 for a family of four to enjoy a day,” she added. Minto was not so sure. He voted against the project, which was approved 3-2. 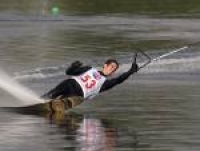 “The Cable Ski Park is an interesting and complex issue.,” he said. “I listened intently to the proposal and to the people testifying. I even kept a tally of who was from Santee, where they lived in Santee, and then who was not from Santee. The greatest weight to testimony for me came from the people living in Santee. “ Even though I thought the Ski Park is a good idea, I had to ask myself, 'Why didn’t we look at placing an overlay on this property when we approved the General Plan update?”' The only thing I could come up with is that the citizens involved with the planning and the Council members did not expect the lakes to change. Therefore, I felt that we should honor the General Plan and not grant the conditional use permit. On the surface it sounds like it could be a good thing for Santee , Qualin said. “but I haven't been able to hear both sides of the project in detail. For example I do not know how the traffic would impact that part of Santee, How it would disturb the residents in that are, what is the full economic impact to the City, etc. I think you need to get the full picture before making a decision like that. Most candidates said traffic gridlock on Mission Gorge Road will ease when nearby freeway construction is completed. She also wants to coordinate traffic signals on Mission Gorge Road and add a crosswalk at Father Serra and Mission Gorge roads to make it easier for seniors and disabled people to reach Mission Trails Regional Park. But Reyes had a different take on the subject, saying that when the freeway allows traffic to bypass the road, local businesses will suffer. Several candidates have previous election experience. Minto, a retired police detective, is seeking his third term. He lists endorsements by Mayor Randy Voepel and Councilmen Brian Jones and Jack Dale. 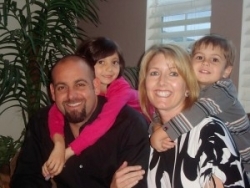 Groce lost a campaign for the board of the Grossmont Union High School District in 2006, and Reyes lost a race against incumbent County Supervisor Dianne Jacob in 2008. He has vowed to try again in two years. Note: All candidates were asked to provide a website address and photo. Routine background checks turned up no major issues of concern.